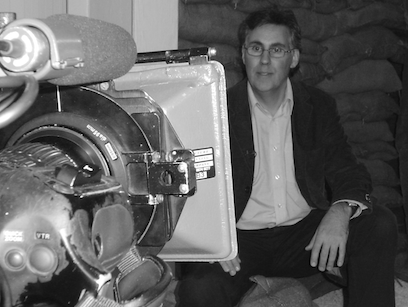 Adrian Gilbert is a writer, editor and consultant with a special interest in 20th-century warfare. His most recent book, Challenge of Battle: The Real Story of the British Army in 1914, is a fundamental re-evaluation of the performance of the British Army during the opening phase of the First World War. In POW: Allied Prisoners in Europe 1939-1945, he tells the story of British and US servicemen held in captivity by the Germans and Italians in the Second World War. He is also an authority on combat sniping. His acclaimed and best-selling works on the subject, Sniper: One-on-One and Stalk and Kill, have been published on both sides of the Atlantic and praised for giving new insights into the history of sniping. Other books include the award-winning Imperial War Museum Book of the Desert War, a history of the campaigns in North Africa, 1940-42; Britain Invaded, an imaginary account of a cross-channel German invasion in 1940; and Voices of the Foreign Legion, a history of the French Foreign Legion based on first-hand narratives. He is also the author of a number of children’s history books for Wayland and Franklin Watts, and has been a contributor to several major projects for Quarto and Dorling Kindersley. His television appearances include The History Channel, Sky News, the BBC, ITV and Discovery Channel, He has contributed to The Sunday Times, the Guardian and several magazines including Q, Time Out and The Good Book Guide. He regularly gives talks and lectures.